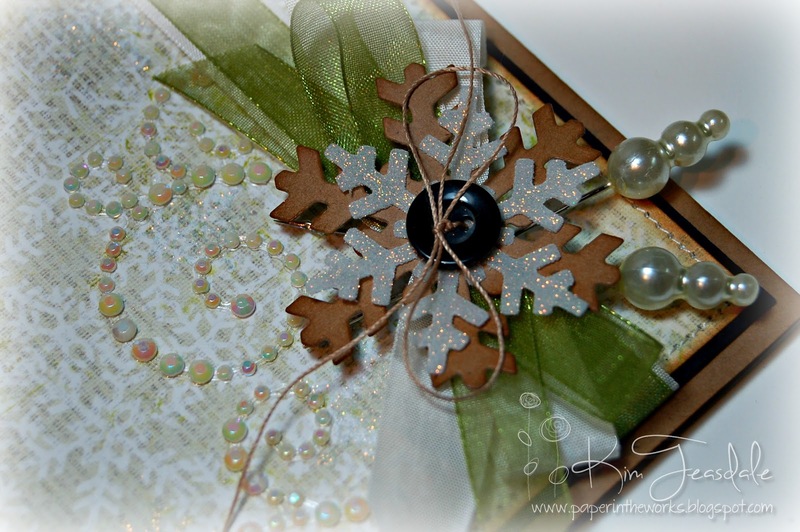 For the base of this card, I used some of my Authentique Peaceful paper because it has the beautiful snowflakes to start the design off with. 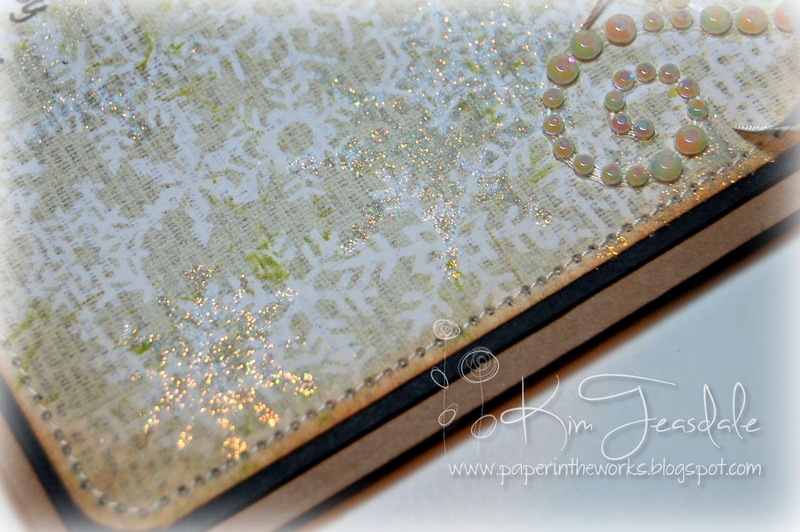 I wanted to have a few very sparkly snowflakes so I stamped my Nutcracker set from Graphic 45 (just the snowflakes) in my glue pad and then onto the paper. I quickly added some Glitter Ritz Warm White translucent glitter for some fantastic sparkle. It was kind of hard to capture how sparkly these turned out but you can kind of see in the picture below. I then distressed the edges of the paper with my Ranger Distress Antique Linen and Vintage Photo inks with my Inkssentials Foam Blender :D After that all that was left to do was to stitched around the perimeter of the card with my sewing machine and start adding some embellishments! So elegant and pretty... wonderful attention even to the tiniest details!